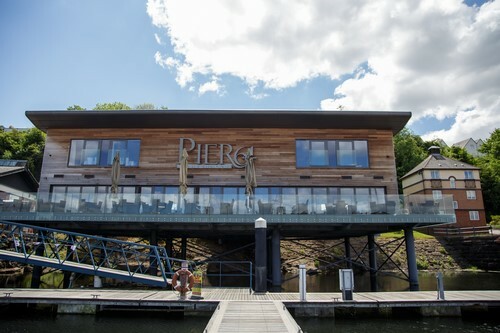 A warm welcome awaits you at Pier 64, a premier restaurant, bar and steakhouse in Penarth Marina ideally located for visitors to Cardiff Bay. 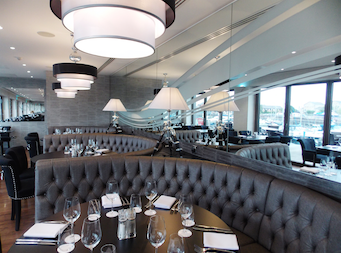 Our restaurant provides a vibrant setting for a business lunch, a break from shopping or a casual coffee with friends. 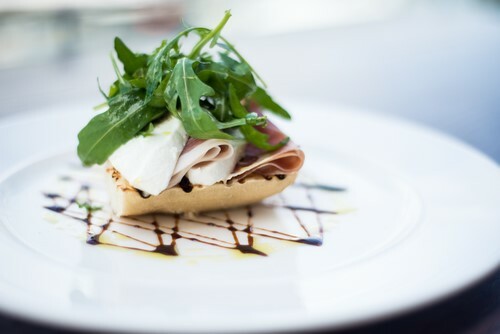 Our terrace is ideally placed for a spot of Mediterrannean-style al fresco dining. By night the restaurant becomes a hub of activity, attracting business professionals meeting for a social drink after work. 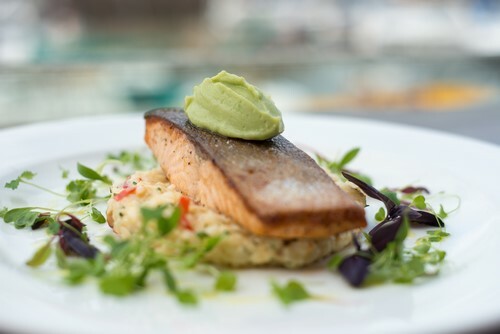 We offer a range of divine dishes, all freshly prepared and cooked to perfection by our premier chefs. 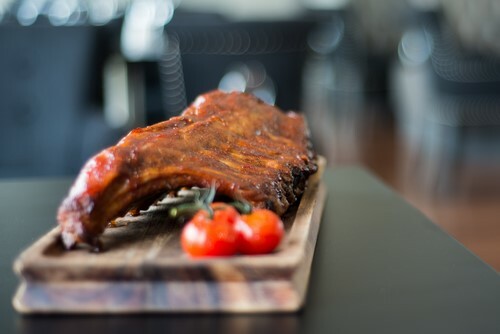 A fantastic array of award-winning meats are bound to delight, while the wines and cocktails carefully selected from around the world provide the perfect accompaniment to any dish. 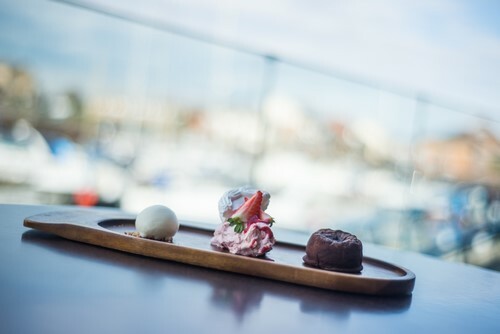 Our service is professional and attentive, the atmosphere informal and relaxed, whilst the open kitchens add theatre to the dining experience. For these reasons, our customers return time and again. Very nice Easter Lunch,we had a short wait for our table and I felt we should of been offered a drink while we waited rather than me going to the bar. Lunch itself was a nice choice and the food was hot and overall very good, the staff were courteous and friendly. 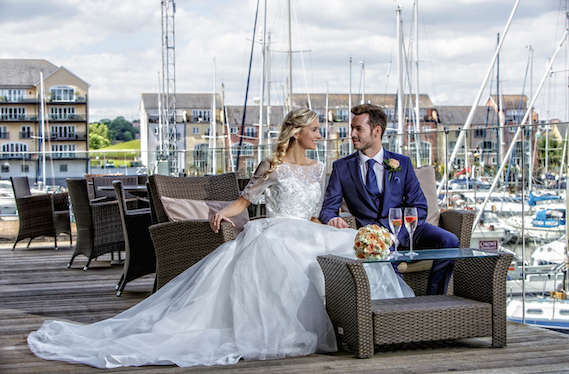 The food and service were fantastic, combined with the great location at the Marina made this a meal to remember. We will definitely be back! Thank you. 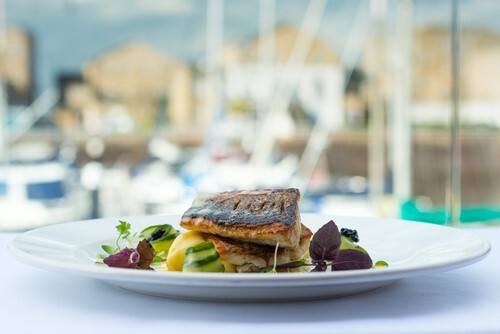 Beautiful food, beautiful surroundings and excellent  service. Thank you for making this special occasion perfect! Excellent food and superb service! Great choice of background music! Delicious food and brilliant service. I know I can depend on this quality and always bring my foreign customers. This was my husband and my first visit to Pier 64. 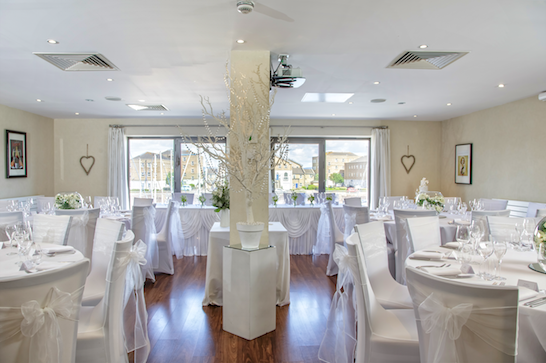 We were welcomed very warmly and loved how bright, light, stylish and sophisticated the restaurant is with the bonus of overlooking a veranda over the marina. All the staff were extremely friendly but also professional and attentive all our needs were catered for eg a jug of iced water with lemon was given to us without us asking. 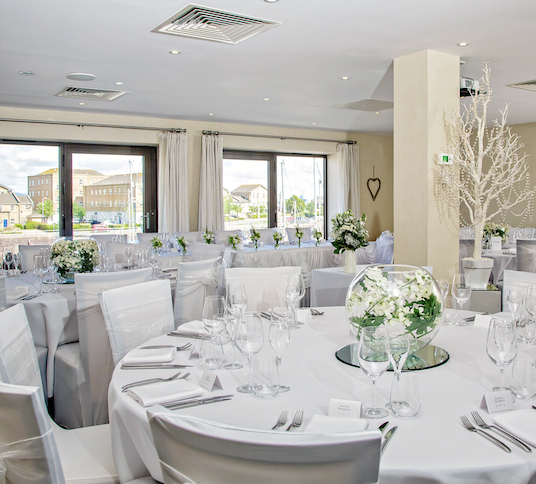 We could choose from the a la carte menu or from a set menu with a nice selection. To start we chose the battered cauliflower and also the pork belly, both were absolutely delicious. For our main we both had the burger and desert we chose strawberry Eton mess and crime brûlée. Every dish was presented beautifully. Superb value for money with First Table. We will be returning to Pier 64 and highly recommend everyone to try it for themselves. There is ample parking opposite. I will pass your feedback to all the team which I am sure will be very happy to hear that. I am very sorry about the unpleasant situation. We did make sure already that your next visit will be great under all the aspects. thank you for your feedback. We hope to see you very soon for another good experience. So happy Pier 64 has reopened, well done to all the great staff and very good manager. Food looked good and tasted great, such good value. The attention to detail is so good but all very relaxed . Will be back soon . It was our pleasure to see you again and twice in a week. I will pass your feedback to all the staff here at Pier 64.
thank you for visiting us. We are looking forward to see you very soon. I hope this is one of many to come. We are very pleased that your enjoy your meal and time with us. excellent and friendly customer service from all staff members. I will pass your lovely feedback to all the member staff,I am sure they will be delighted to know you had great time. 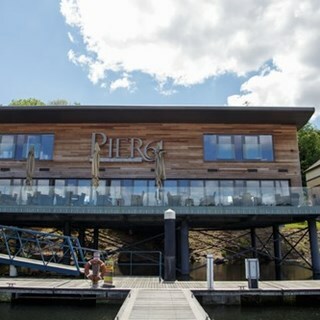 Fabulous meal at Pier 64 on Mother's Day. 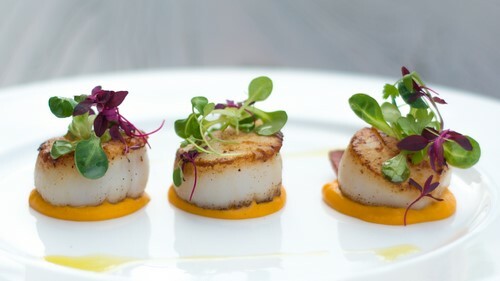 We couldn't fault the quality of all three courses, they were absolutely delicious. Mum was very happy! Steak very good... salmon too salty and small... waiting over an hr for food! Reputation did not exceed. Nice atmosphere though it took a long time for our bar drinks to come when we first arrived. All enjoyed our meals but thought there wasn’t enough choice - none in our party liked any of the starters, & thought the main courses ok. I usually like to look for meals I don’t have at home - but 2 of us ended up with chicken & mash and the other 2 with fish and chips. Not too inventive! we are very happy that you had such a good time. We are looking forward to see you very soon . My guest had suffered a recent bereavement and had a bit of a weepy - you were so kind to her bringing a nice glass of brandy. The view from the tables is brilliant. Dear Mr Jones, it was our pleasure being of help. We are looking forward to see you anytime soon. Lovely lunchtime meal , food well cooked excellent service. thank you for your lovely feedback. We  hope to see you soon. Our waiter was brilliant. He was very kind and friendly. Service was swift and the food was amazing. We were at the resteraunt celebrating a birthday and ny partner said it was the best birthday ever due to the lovely birthday meal. Our waiter went above and beyond. My partner asked if he could have a whiskey sour as it was not on the menu. Nothing seemed to be too much trouble, our waiter mad my partner the whiskey sour. Thank you very much to all the staff that helped to make my partners birthday extra special! we are very pleased that we made your experience special. I will pass your feedback to the staff on duty that night. We hope to see you  soon. Disappointed to find a £28 over charge on our bill. Good job I checked it. please accept our apologies for the unpleasant inconvenient. It was never our intention to over charge you, just a human mistake. We usually double check everything before presenting the bill. We missed this one and again I am very sorry. I hope the rest of the evening was of your satisfaction.